I really should retake this picture…One of my latest school assignments. we had to paint something from our art room…art hallway environment. 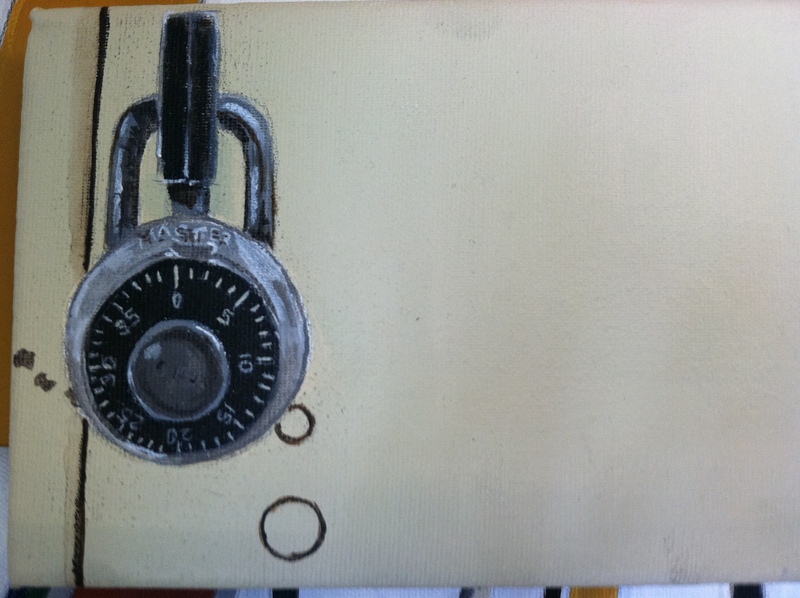 I painted my lock. I call this Ode to a Lock. Not really. I should call it locker 173.